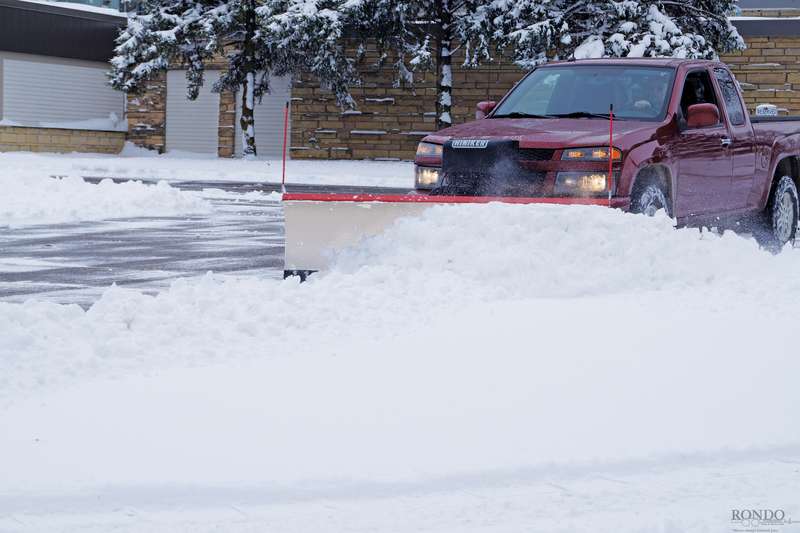 Eliminate Plow-Mounted Headlights! Take advantage of the power of your truck’s O.E.M. headlight system with the Hiniker 1700 Series Tilt-Lift plow. 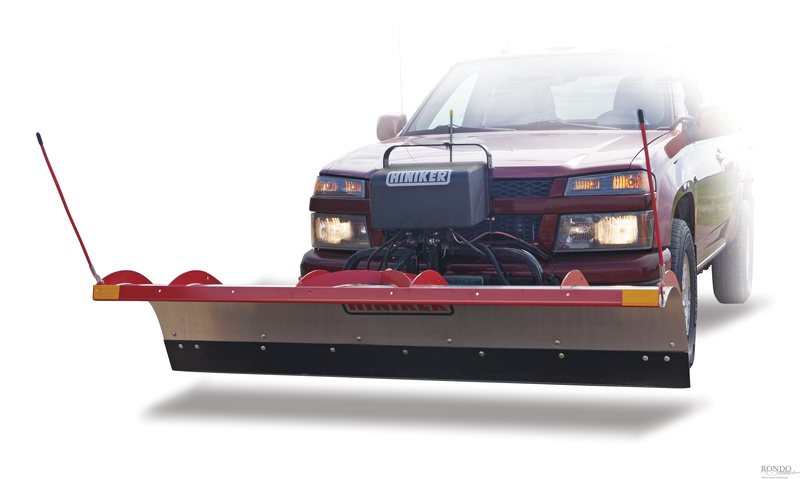 The unique Hiniker lifting action tilts the plow blade forward as it is raised, keeping the moldboard below the level of the truck lights and eliminating the need for auxiliary headlight installation and maintenance. 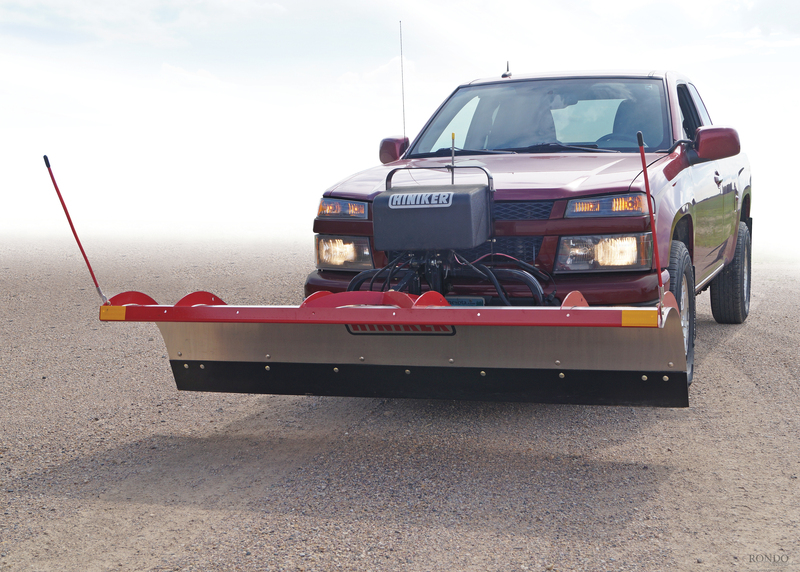 This is a full-featured plow with a 26 inch tall torsion trip-edge moldboard and a stainless steel surface. 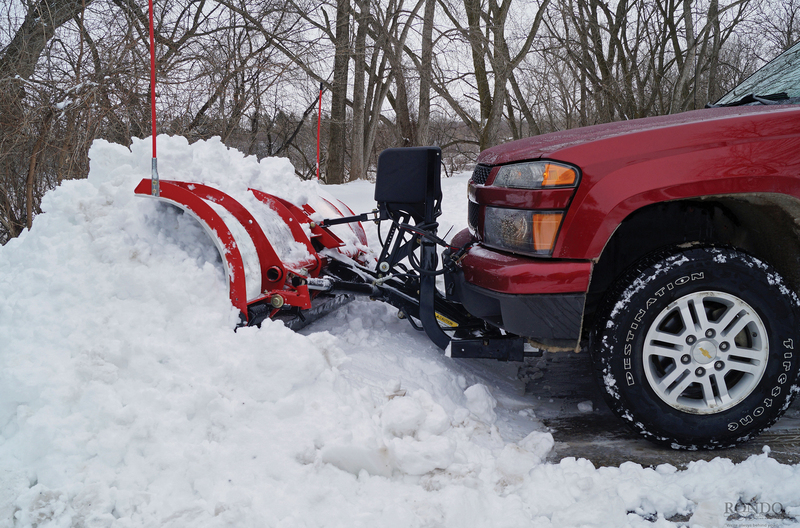 Hydraulic power angling and lift along with built-in stacking ability and commercial quality hydraulic and electrical components make it ideal for property owners who want to do their own winter maintenance! The blade tips forward as it is raised allowing the truck headlights to shine over the plow. 26" Tall stainless steel moldboard plows and stacks with ease. Torsion trip edge provides protection on irregular surfaces. Weight (Net of truck mounted hardware): 476 lbs. *Shoes not included, adds $100. *Weight does not include truck mount or shoes.